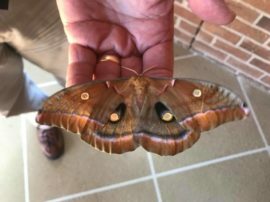 Clemson Downs is home to over 200 happy residents and at least one brown luna moth. Note the size of the moth, we are so fortunate we have the green space to share with the natural world. 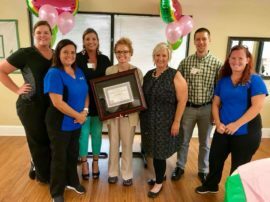 Thank you Providence Care for hosting a watermelon social at Clemson Downs in appreciation of our and in honor of our ten year partnership!! 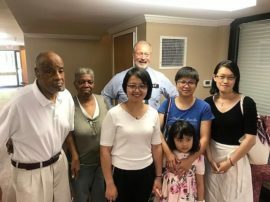 Dr. LeHeup, our residents, Mr & Dr. Holder and our guests from China that included Clemson UniversityPhD candidate Pai Liu. We love our local and international relationships! 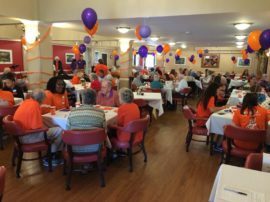 Clemson Downs celebrated Skilled Nursing Care week! 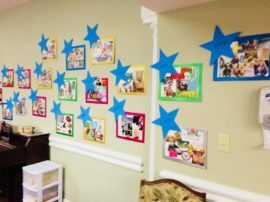 Our residents in skilled nursing celebrated the week with Hollywood walk of fame featuring the residents life stories, special dinners and activities!! Everyone had a great time! 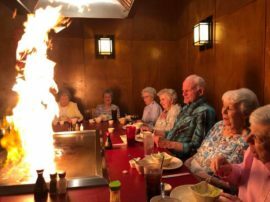 Our residents had a wonderful time at Fuji Japanese Steakhouse in Anderson! They loved eating hibachi style and seeing their food cooked in front of them. Everyone had a great time! 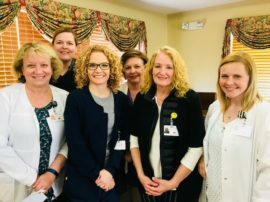 The staff at Clemson Downs honored all of our lovely ladies at a Mother’s Day Tea. 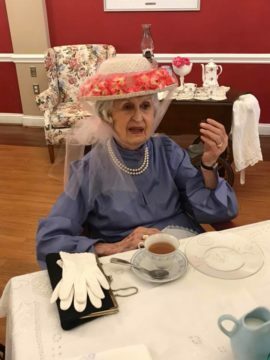 Everyone dressed up and enjoy tea sandwiches and being together. 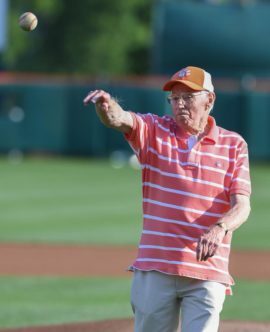 Clemson Downs resident Mr. Joe Tate threw out the first pitch at the Clemson Baseball game!! Go Tigers! An Afternoon with the Athletes! Our residents had a great time spending the afternoon with student athletes from Clemson University. This was a project hosted by a senior level PRTM class who had to plan an event from start to finish. We love our partnerships with Clemson University! Happy Nurses Week to our wonderful nurses! Happy Nurses Week to our wonderful nurses! 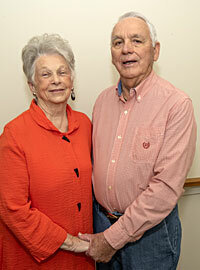 They provide care and compassion to our residents and do it all with a smile and a glad heart. Thank you for all you do, every day! 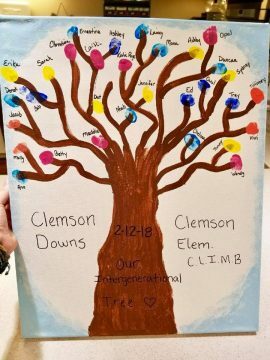 Our friendships with our neighbors at Clemson Elementary are so wonderful. Our residents had so much fun when the students walked over from school and visited with them. Here is a picture of the thumbprint tree they made together!